This year, Subaru debuted the largest Subaru vehicle to date. 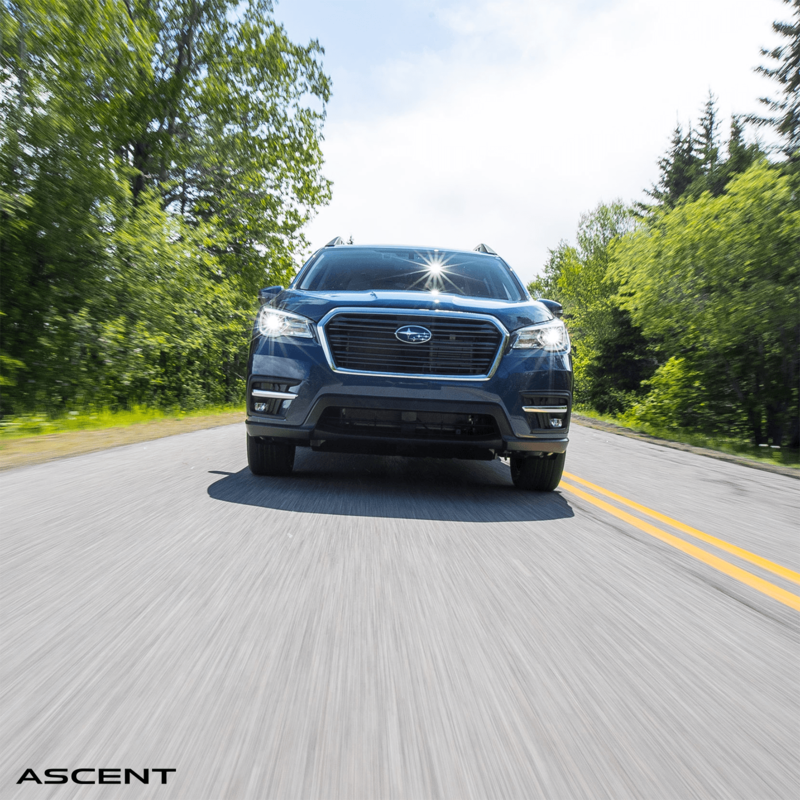 The 2019 Subaru Ascent is big not just in size, but in the number of new technology features and safety features are packed into the three-row SUV. As with every vehicle Subaru produces, safety is of the highest priority, and the full suite of EyeSight features the Ascent was named a 2018 Top Safety Pick+ for Midsize SUVs. In all six tests, the three-row Ascent (which seats up to eight people) earned the highest possible rating of “Good.” For crash prevention and avoidance, the Ascent earned the highest possible six-point score for a “Superior” crash avoidance rating. These two ratings helped it earn the TSP+ ranking when equipped with steering-responsive LED headlights. The available Steering Responsive LED Headlights were introduced on 2017 Subaru vehicles, as a safety feature to help navigate the roads at night and keep Subaru drivers safe in all driving conditions. Steering Responsive Headlights follow the direction the vehicle is going in – unlike standard LED headlights which point straight. The headlights aim in the direction your steering wheel is pointing, which helps drivers see more clearly around corners or on winding roads at night or in poor driving conditions. The 2019 Subaru Ascent comes standard with the EyeSight suite of driver-assistive features. The EyeSight features monitor traffic movement, optimize cruise control settings, and warn when drivers sway out of their lane. Specific features can also apply full brake force in emergency situations, which has been found to reduce injuries from rear-end crashes by up to 85%. For more information on the 2019 Subaru Ascent, visit Subaru of Niagara today.